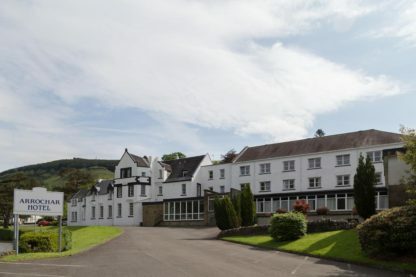 On the banks of Loch Long, The Arrochar Hotel boasts impressive views and free parking and free Wi-Fi. Situated at the foot of the Arrochar Alps, it also has a traditional Scottish restaurant. Set in a former coaching inn, The Arrochar features spacious rooms with modern en suite bathrooms. All rooms offer tea and coffee making facilities, and many have wonderful mountain views.